Highlands High School was able to use their Forest Scientific to design a fundraiser to benefit the school. 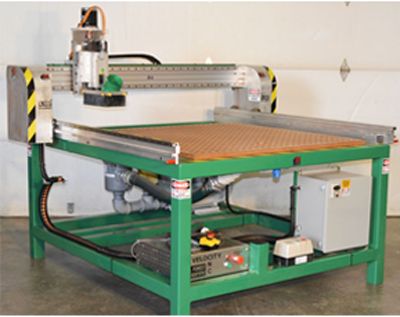 Forest Scientific’s CNC routers, mills & lathes, and plasma cutters are reliable, affordable, and made in the USA. Most machines come fully assembled and machines operate with CNC controls that connect to the computer through USB not outdated parallel port, serial port, ISA ports, or other port that requires a DOS or other proprietary language. You can use any CAD/CAM producing industry standar G-Codes such as Mastercam, Surfcam, Edgecam, Enroute, Vcarve, Rhinocam, and more. area. The actual travel is 2″ greater than the work size listed. HSIPIRO are commonly used for 3D modeling, cabinet making and woodworking that require high production speeds. Requires 120V 20A for electronics and 230V 3PH for Vac Table systems. 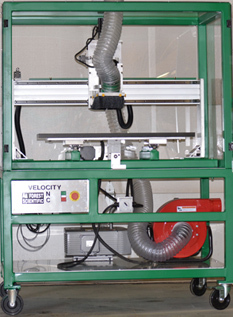 Features include the Centroid closed loop servo control system with remote Jog panel and vac table system. No computer needed to run machine. 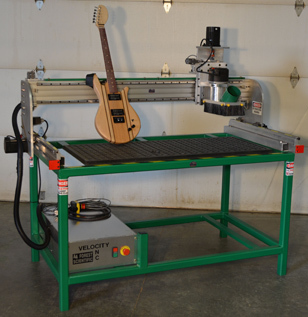 Machines geared for educational training, prototyping, design, and industrial production worldwide. The HS CNC Plasma Cutter has a tethered magnetic breakaway for consistent positioning during cutting and retention after collision or consumable change. Powerful magnets and keyed mounting plate for fast and repeatable repositioning of the torch.